The area around Penn Cove was once home to Lower Skagit tribes who built three permanent villages at this location, the largest was located where Coupeville is now located. The protected harbor, facing Saratoga Passage, provided abundant seafood and forest access. British Navy Captain George Vancouver visited Whidbey Island in 1792, becoming the first European to explore it. He named the Island in honor of Joseph Whidbey, master of HMS Discovery, who sailed around the island in a jolly boat thus proving that it is an island. Vancouver named Penn Cove in remembrance of a friend. The native word for the island was Tscha-kole-chy. Vancouver met a small number of Skagits and wrote that their tribes had once flourished but had been decimated by disease. In 1848 Whidbey Island’s first white settler, Thomas Glasgow, filed a land claim on what is now Ebey’s Prairie. Glasgow married Chief Patkanim’s daughter Julia, who served as a translator. After journeying to Olympia to file a land claim, Glasgow returned to the Island and found 8,000 members of various tribes assembled at Penn Cove to discuss the incursion of whites into their traditional hunting and fishing grounds. Julia feared Glasgow’s life was threatened and the couple left for Olympia where they legally married and did not return to the island. Following the Point Elliott Treaty in 1855, many of the Lower Skagit people were placed on the Tulalip reservation. A few continued to live in Coupeville. 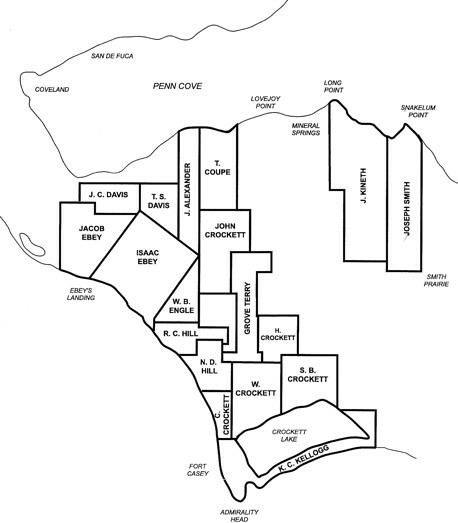 The same Whidbey Island locations that appealed to the Skagits also appealed to early white sea captains and farmers who explored and settled central Whidbey Island in the early 1850s. Ebey’s Landing, on the Strait of Juan de Fuca, was an easy place to reach by water and the nearby prairie and protected harbor of Penn Cove made excellent sites for establishing homes and farms. On September 27, 1850, Congress passed the Oregon Donation Land Claim Act, granting free land (320 acres to single men and 640 acres to married couples) to anyone who had settled on the land before December 1 of that year. Colonel Isaac Neff Ebey (1818-1857) was the first man in Central Whidbey Island to file a claim (640 acres) on October 15, 1850. During the years of the Donation Land Claim Act, updated in 1853 and again in 1854, 29 settlers registered claims on the Prairie and Penn Cove. A small settlement called Coveland formed at the head of Penn’s Cove and served as the first Island County seat (1853-1881). Captain Benjamin Barstow (d. 1854) opened the first trading post at this location in 1853. A group of land developers platted Coveland in 1888 and changed the name to San de Fuca, chosen because of its proximity to the Straits of Juan de Fuca. From 1881 to the present time, Coupeville has been the Island County seat. While Whidbey’s sea captains conducted coastal trading, most of the settlers were drawn to the island’s rich prairie land. Here they farmed, planting and selling wheat, oats, barley, fruit, and potatoes, and even raising sheep. Settlers soon found that logging was their best cash crop. Using primitive tools, they began cutting the forest. It took the changes in logging technology that would come in the twentieth century to enable the massive removal and marketing of most of Whidbey’s trees. The government’s intention in granting free public land was to encourage settlement in the region and claimants were required to “develop” and “improve” their land, which usually included clearing away trees. Settlers took profit from small harvesting, but large logging and milling operations -- able to quickly clear land -- made money from the timber they sold. The U.S. government allowed these operations to log and pay a small fee for each tree cut but the companies greatly profited and much public land quickly fell into private ownership. The forests on Whidbey Island were routinely cut by Puget Mill Company as wells as mills at Port Blakely, Port Ludlow, and Utsalady (Camano Island). 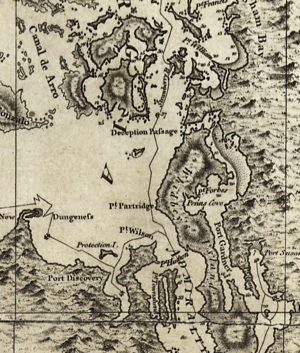 John Sprague, head of the Western division of the Northern Pacific Railroad, purchased 20,000 acres of land in Island County, launching rumors that the Northern Pacific would establish its West Coast terminus at Coupeville. But the Northern Pacific chose Tacoma instead and profited from logging and real estate at Coupeville. Coupeville was named for sea captain Thomas Coupe, who arrived on Puget Sound on the bark Success. Scouting the area, Coupe settled at Penn Cove in 1852. His wife, Maria, and their family joined him there in 1853 and Captain Coupe worked as a coastal trader, sailing both the Success and the Jeff Davis, the first revenue cutter on Puget Sound (part of the armed maritime law enforcement service). 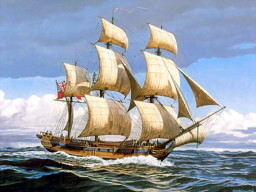 He also built and operated a number of small schooners as well as a steamer that he also named Success. The Coupes did not initially file for their property and settler C. H. Ivans claimed the same piece of land. On April 3, 1854 Coupe filed his claim and eventually paid Ivans to clear the title. It was not until September of 1865 that Coupe was granted the property, the west half assigned to him and the east 160 acres to Maria. The Coupe and Alexander properties on Penn Cove eventually comprised the town of Coupeville. In 1881 Coupeville became the Island County seat and began to look like a real town, with an increasing number of homes, stores and churches. Water routes were the main avenues of transportation until 1900 and their efficiency actually slowed the progress of road development. "Mosquito Fleet" steamers operated out of Coupeville, running to Bellingham in the 1890s. The town prospered from shipbuilding and from shipping fish, produce, lumber, and timber. The history of the portion of Front Street described on this site starts with the Alexanders developing the western part and John Robertson who bought the NE portion of Alexander's claim in 1860 including the portion of Front Street between Grace and Main Streets. Coupeville became the county seat in 1881.